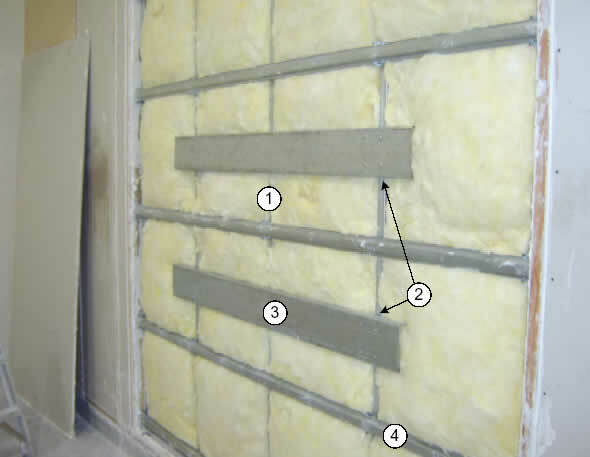 The RSIC-Backer® series is a heavy duty mount used together with the RSIC-1 clips, creating the only complete noise isolation system that can support heavy items. 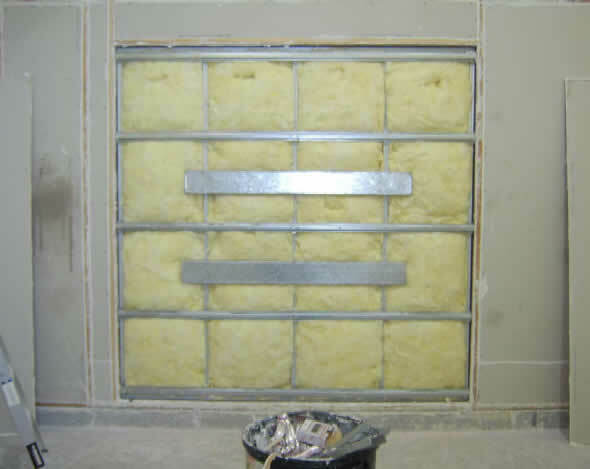 The RSIC-Backer can be used in new construction or retrofit. 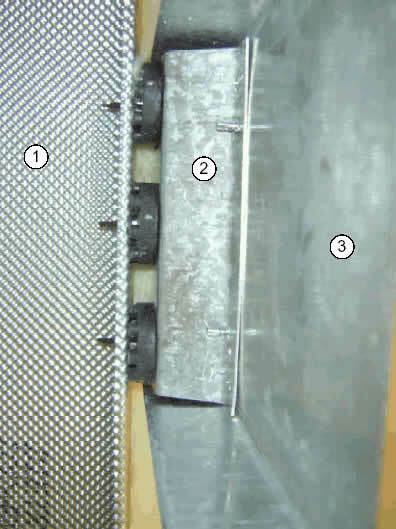 The RSIC-Backer should be used when items need to be acoustically decoupled for noise and vibration isolation. A few examples of the possible uses for the RSIC-Backer series of noise control clips: Cabinet Support, Chalk boards, Projector screens, Handicap grab bars, Lockers, TV wall mount support, Handrails. 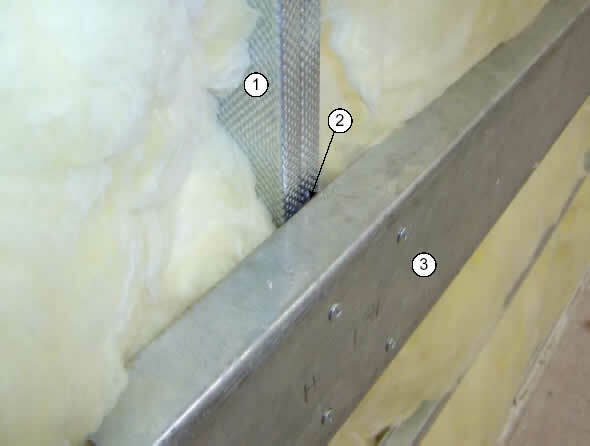 RSIC-1 Backer installed to steel stud framed wall. 6" C channel (Steel track) screwed to RSIC-1 Backer.